The behavior of the free surface in skimming flows along stepped chutes is investigated for the step ratio 1V:1H. Data were collected using high frequency ultrasound probes. The measurements included mean surface profiles, statistical parameters related to the surface position, aeration inception point, water depth at the inception point and transition length. The measurements were related to turbulence parameters at the free surface. The measurement methodology was adequate for both the black-water and the white-water regions. Characteristic relations are developed for different variables defined for skimming flows. The results demonstrate regions of increasing and decreasing turbulence in the transition between the black-water and the white-water flows, and a region of decay of turbulence, related to the distance needed to attain the quasi-uniform flow of the white-water. R.M. Boes, “Two-phase flow and energy dissipation on cascades” [Zweiphasenströmung und Energie umsetzung an Grosskaskaden], Doctoral Dissertation (Dr. sc. techn. ), ETH Zurich, Switzerland, 2000. R.M. Boes, and W.H. Hager, “Two-phase flow characteristics of stepped spillways”, J. Hydraul. Eng., vol. 129(9), pp. 661–570, 2003a. R.M. Boes, and W.H. Hager, “Hydraulic design of stepped spillways”, ASCE, J. Hydraul. Eng., vol. 129(9), pp.671-679, 2003b. H. Chanson, The hydraulics of stepped chutes and spillways. A.A. Balkema, 2002. M.L Lueker, O. Mohseni, J.S. Gulliver, H.E. Schulz, and R.A. Christopher, “The physical model study of the Folsom Dam auxiliary spillway system”, St. Anthony Falls Lab. Project Report 511.University of Minnesota, Minneapolis, MN, 2008. J. Matos, “Hydraulic design of stepped spillways over RCC dams”, Proc., Int. Workshop on Hydraulics of Stepped Spillways, VAW, ETH Zurich, H.-E. Minor and W.H. Hager, eds., Balkema, Rotterdam, The Netherlands, pp. 187-194, 2000. I. Ohtsu, Y. Yasuda, M. Takahashi, “Flows characteristics of skimming flows in stepped channels”, ASCE, J. Hydraul. Eng., 1 vol. 30(9), pp. 860-869, 2004. M. Pfister, and W.H. Hager, “Self-entrainment of air on stepped spillways”, International Journal of Multiphase Flow, vol. 37(2), pp. 99-107, 2010. A.L.A. Simões, H.E. Schulz, and R.M. Porto, “Transition length between water and air-water flows on stepped chutes”, Proc. 6th International Conference on Computational and Experimental Methods in Multiphase and Complex Flow, WITpress, UK, pp. 95-105, 2011a. P.H. Povh, “Evaluation of residual energy downstream of stepped spillways in skimming flows” [Avaliação da energia residual a jusante de vertedouros em degraus com fluxos em regime skimming flow], MSc Thesis, Department of Technology, Federal University of Paraná, Curitiba, Brazil [in Portuguese], 2000. D.G. Sanagiotto, “Flow characteristics in stepped spillways of slope 1V:0.75H” [Características do escoamento sobre vertedouros em degraus de declividade 1V:0.75H], MSc. Thesis. Institute of Hydraulic Research, Federal University of Rio Grande do Sul, Porto Alegre, Brazil, [in Portuguese], 2003. M.J. Tozzi, “Characterization of flow behavior in stepped spillways” [Caracterização/comportamento de escoamentos em vertedouros com paramento em degraus], Dr. Thesis. University of São Paulo, Brazil, [in Portuguese], 1992. F. Murzyn, and H. Chanson, “Free-surface fluctuations in hydraulic jumps: Experimental observations”, Experimental Thermal and Fluid Science, vol. 33, pp. 1055-1064, 2009. A.L.A. Simões, H.E. Schulz, and R.M. Porto, Reply on “Stepped and smooth spillways: resistance effects on stilling basin lengths”, Journal of Hydraulic Research, vol. 49(3), pp. 407–408 (DOI: 10.1080/00221686.2011.568199), 2011b. V.T. Chow, Open channel hydraulics. McGraw-Hill, New York, USA, 1959. S.C. Wilhelms, and J.S. ; Gulliver (2005) “Bubbles and waves description of self-aerated spillway flow”, Journal of Hydraulic Research, vol. 43(5), pp. 522-531, 2005. E. Kreyszig, Advanced engineering mathematics, LTC, 9th ed. vol. 3, Rio de Janeiro, Brazil [Portuguese edition], 2009. H.E. Schulz, and A.L.A. Simões, “Alternative fomulation for transition lengths: analogies with basic equation of Transport Phenomena” [Equacionamento alternativo para comprimentos de transição: analogias com equações básicas de Fenômenos de Transporte] Technical Report, School of Engineering at São Carlos, University of São Paulo, available online: vertedoresemdegraus.blogspot.com;stoa.usp.br/ltr/files/ and in http://stoa.usp.br/hidraulica/files/-1/16207/Schulz_H.E._Simões_A.L.A_ LTR-Relatório+I_II_11.pdf [in Portuguese], 2011. A.L.A. Simões, H.E. Schulz, and R.M. Porto, “Stepped and smooth spillways: resistance effects on stilling basin lengths” Journal of Hydraulic Research, vol. 48(3), pp. 329-337, 2010. A.L.A Simões, “Stepped chutes: Theoretical experimental and numerical study” [Canais e vertedores em degraus: Estudo teórico, experimental e numérico], Dr. Thecnical Report, 157 p. University of São Paulo, Brazil, [in Portuguese], 2011. J. Matos, and A. Quintela, “Guidelines for the hydraulic design of stepped spillways for concrete dams”, ICOLD Energy Dissipation Bull, 1995. D. Yildiz, and I. Kas, “Hydraulic performance of stepped chute spillways”, Hydropower Dams, vol. 5(4), pp. 64–70, 1998. W.H. Hager, “Uniform aerated chute flow”, J. Hydraul. Eng., vol. 117(4), pp. 528–533, 1991. 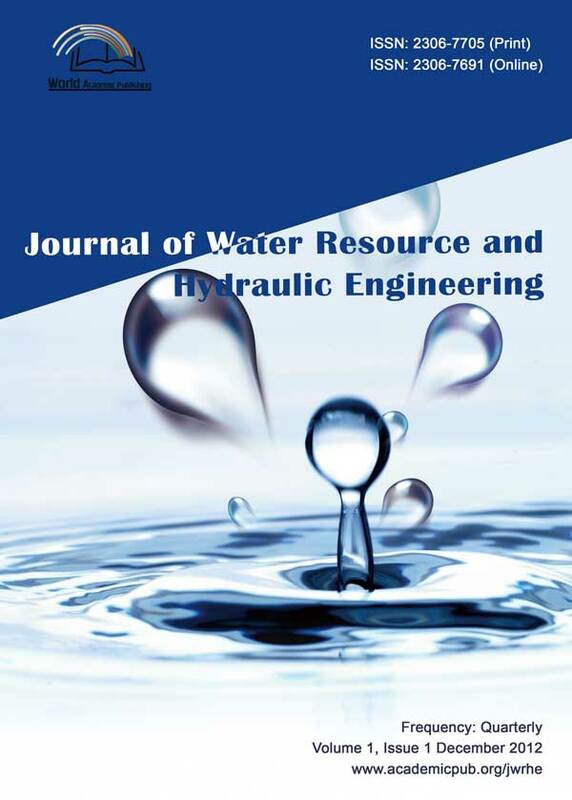 M. Takahashi, and I. Ohtsu, Discussion on “Stepped and smooth spillways: resistance effects on stilling basin lengths”, Journal of Hydraulic Research, vol. 49(3), pp. 404-408. (DOI: 10.1080/00221686.2011.568200), 2011. E.J. Arantes, Characterizing flows along stepped spillways through CFD [Caracterização do escoamento sobre vertedores em degraus via CFD], Dr. Thesis. School ef engineering at São Carlos, University of São Paulo, Brazil, [in Portuguese], 204 p., 2007. E.J. Arantes, R.M. Porto, J.S. Gulliver, A.C.M. Lima, and H.E. Schulz, “Lower nape aeration in smooth channels: experimental data and numerical simulation”, Annals of the Brazilian Academy of Sciences (Anais da Academia Brasileira de Ciências), vol. 82(2), pp. 521-537, 2010. J. Matos, "Emulsification of the air and energy dissipation of flows in stepped spillways” [Emulsionamento de ar e dissipação de energia do escoamento em descarregadores em degraus], Dr. Thesis, Instituto Superior Técnico, Portugal, 1999. A.L.A Simões, “Turbulent Flows in stepped chutes: Experimental data, numerical solutions and theoretical propositions” [Escoamentos turbulentos em canais com o fundo em degraus: Resultados experimentais, soluções numéricas e proposições teóricas], Dr. Thesis, School of Engineering at São Carlos, University of São Paulo, Brazil, [in Portuguese], 2012. A.L.A Simões, H.E. Schulz, R.J. Lobosco, and R.M. Porto, “Stepped spillways: Theoretical, experimental and numerical studies”, H.E. Schulz, A.L.A. Simões, R.J. Lobosco, Eds., Hydrodynamics: Natural Water Bodies, Intech open, Rijeka, Croatia, pp. 237-262, 2011. Copyright © 2018 World Academic Publishing - All rights reserved.